Although we are knee deep in snow and record low temperatures this week here in Ohio, I’m getting anxious to start planning my summer gardens. Last year was a great year for my zinnia gardens. 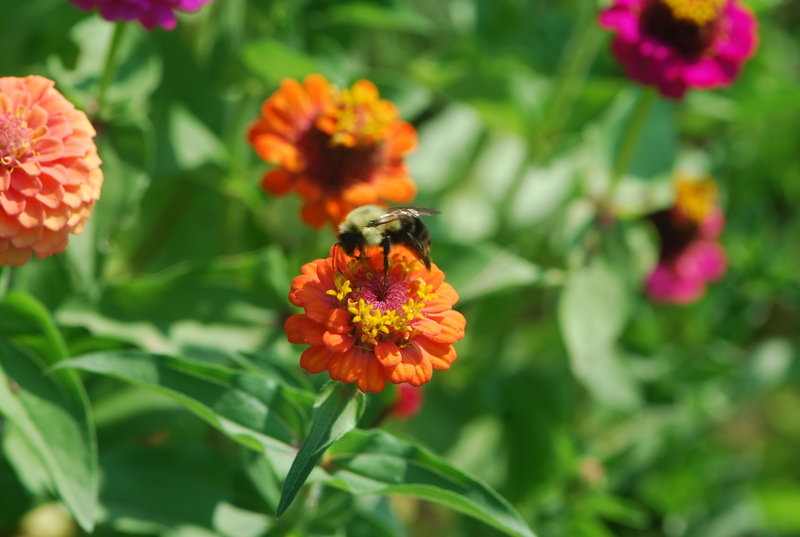 I like zinnias because there are so many colors and they attract butterflies, bees, hummingbirds and finches. Zinnias tolerate the heat and do well during dry weather. This means they are a low maintenance plant that spare our natural resources. Late in the season, there are still a lot of buds coming out while the finches enjoy the older blooms. Look close, you’ll see two finches and a hummingbird on these zinnias.